Media Bias: There’s palpable dismay at outlets such as MSNBC and Salon that the Boston Marathon bombers were radicalized young men from Chechnya and not angry white males from the vast right-wing conspiracy. 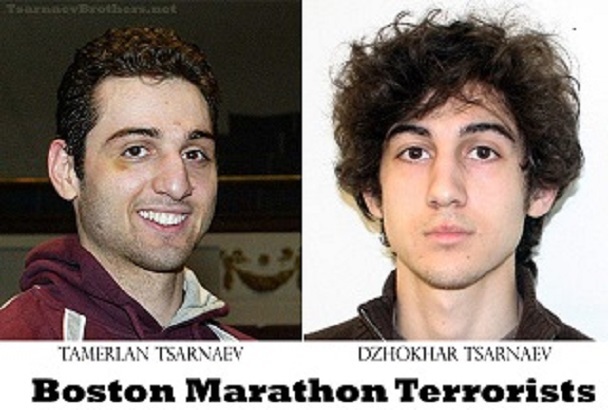 Shortly after Monday’s tragedy in Boston, David Sirota of Salon Magazine penned a piece titled “Let’s hope the Boston Marathon bomber is a white American.” Continue reading at: investors.com. This entry was posted in Immigration, Major News Items, Tea Party, War on Terror and tagged Boston, Boston Bombings, David Sirota, Jihad, Sirota, Tea Party, Terrorism, Tsarnaev. Bookmark the permalink.